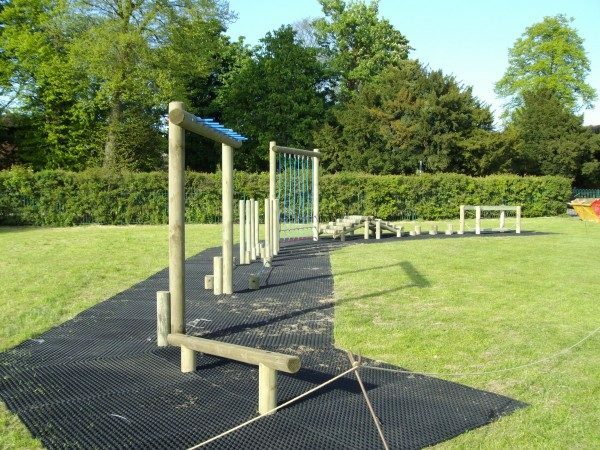 Our playground matting is perfect for use in your playground. 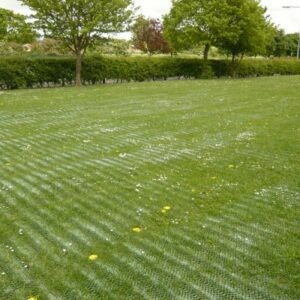 These ring-hole mats will allow the grass to grow back through the mat giving maximum protection to the children whilst keeping the lawn looking fresh and green! Not only are they brilliant when they’re installed, actually installing them is as simple as it can be! 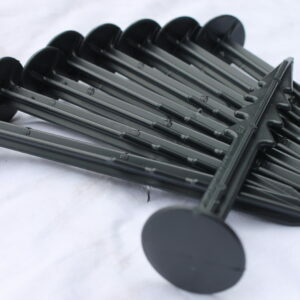 All you need is a few of our pegs & cable ties; lay the mat down, fix into the ground with the pegs, fasten the next mat using our cable ties, pin to the floor, and continue the process! It couldn’t be easier to install our playground mats! 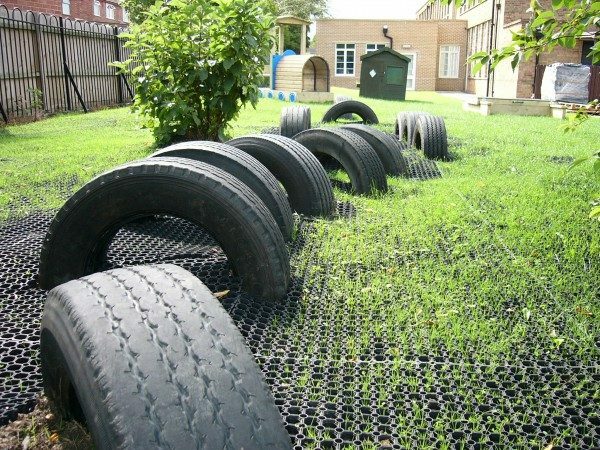 Playground Mats are a recycled rubber safety surface used all over the UK by councils, schools, stable owners and general domestic users. They protect the ground from becoming churned up which can create a boggy and muddy mess. 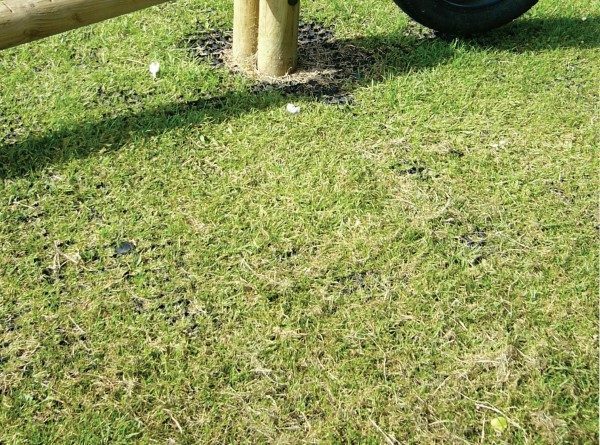 Playground Mats are commonly used in children’s play areas but they are also the perfect product to protect your lawns, garden play areas and for equestrian access as these places tend to be prone to becoming boggy due continual use from pets, horses and children. 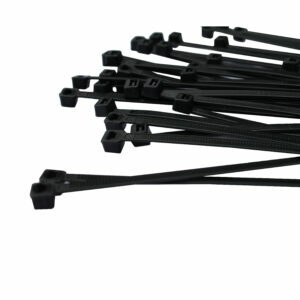 They also provide a fantastic anti slip surface great for use behind bars and cellars. 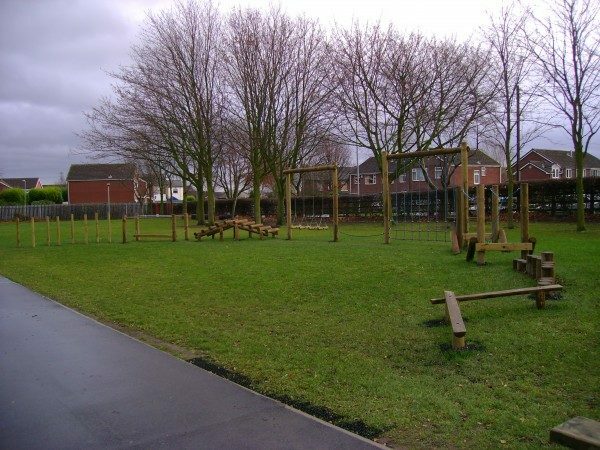 Grass/Playground Mats are a commonly used safety surfacing across the UK but as a supplier one thing clear to us is that the testing of these mats is something not commonly understood in the industry. 3m Critical Fall Heights (CFH) are often quoted but are also often misunderstood by customers. So, what does a CFH of 3m actually mean? It means that, when tested in accordance with BS EN 1177:2008, a test height of 3m provided a HIC (Head Injury Criterion) value of 1000. The British Standard states that the HIC value must not exceed 1000, a number whereby it is deemed unlikely that fatal or disabling injuries will occur. • If you fell on to a surface from 3m and the HIC value recorded was 1000, the limit set by the British Standard, figures suggest that you would be 90% likely to sustain a moderate injury. 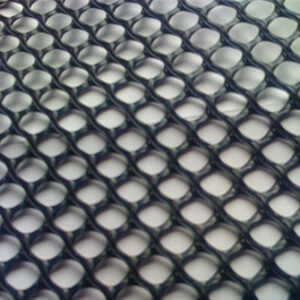 • If you fell on to our Playground mats from 3m you would only record a HIC value of 550. Figures suggest that at this value there is only a 45% chance of moderate injury. • Our mats have been tested and received a critical fall height in excess of 3m and a HIC value of only 550 when tested from 3m. • The British Standard states that HIC values must not exceed 1000. • The CFH was tested in accordance with BSEN 1177:2008. • The mat size is 1500mm x 1000mm x 23mm thick. Covering an area of 1.5m2. 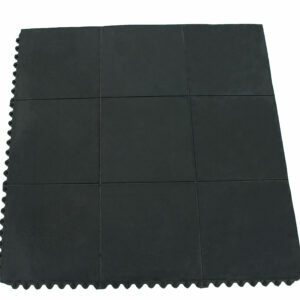 • The mats are made out of high quality recycled rubber.